State Champion Jasmine Taylor leads the field of five State Medalists and another seven State Qualifiers in the Class 1 Girls 400m. 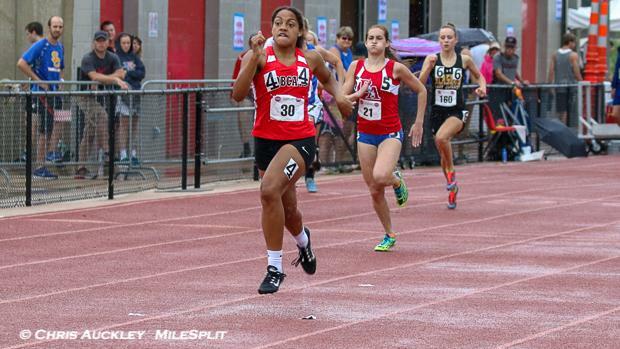 She holds the fastest returning time with a 58.27, and is the only sub 60 runner in Class 1. She'll be a heavy favorite to return to the top of the podium in 2018. Jacob Querry is the Defending Champion in the Class 1 Boys 400m, and he returns along with four other State Medalists and seven State Qualifiers. He also owns the fastest returning time with a 50.54, and will look to hold of Amari Glasgow and Caleb Schreiner to defend his State Title.